Seafood is a major export earner for New Zealand, generating $1.8 billion a year, with this figure tipped to reach $2 billion within the next few years. Investment in innovation and an ongoing focus on quality and sustainability are continuing to drive change in this country’s fishing industry and cementing its leading global reputation. So says Seafood New Zealand’s Tim Pankhurst, who has witnessed a revolution in trawling techniques since he joined the organisation as its chief executive in 2013. Better harvesting and handling processes, along with the evolution of technology that enables particular species to be more accurately targeted, are all helping transform the industry. “Fish are being landed in fantastic condition,” he says. As well, he notes there is “great potential” for expansion in aquaculture, citing the development of commercial mussel spat facilities in Nelson and ongoing growth in King Salmon farming. Seafood is a major export earner for New Zealand, generating $1.8 billion a year, with this figure tipped to reach $2 billion within the next few years. The domestic market is also strong, generating $200 million a year. Quotas are used to manage New Zealand’s wildcaught seafood resources, with the Ministry for Primary Industries responsible for ensuring compliance. Most of New Zealand’s deep sea fisheries have been independently certified as sustainable by international watchdog, the Marine Stewardship Council (MSC). Last year, Seafood New Zealand made a promise to be ‘guardians of our oceans’, underscored by a code of conduct showing its commitment to sustainability. This has since been pr omulgated at fishing ports throughout New Zealand. Along with encouraging sustainable fishing practices, the code makes a pledge ‘to look after our people and treat them fairly’. In August 2018, a progress report on the code’s impact will be made at Seafood New Zealand’s annual conference in Wellington. Yet, as with any primary industry, the fishing sector still has some way to go before winning over an often sceptical public and environmental lobby. For example, recent media coverage highlighted an instance of under-reporting of hoki caught in 2011; Tim says what was missed is that this is an otherwise sustainably managed fishery with MSC certification. 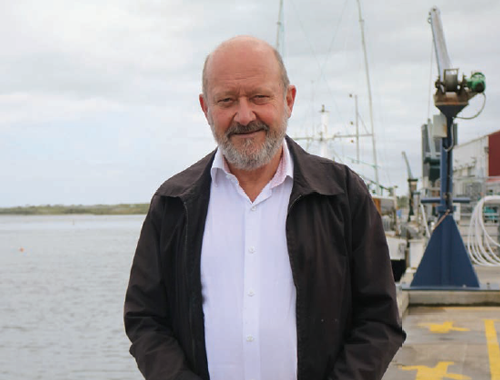 He observes that independent reviews consistently place New Zealand in the top five sustainable fisheries in the world. In late 2016, when New Zealand orange roughy gained MSC certification, it became the first orange roughy fishery anywhere in the world to be assessed to the MSC Standar. Tim says this was achieved as a result of more than 20 years of management improvements and scientific innovation. Seafood New Zealand’s vision is for those at the forefront of the industry to be recognised for their contribution in much the same way as New Zealand’s top wine makers.